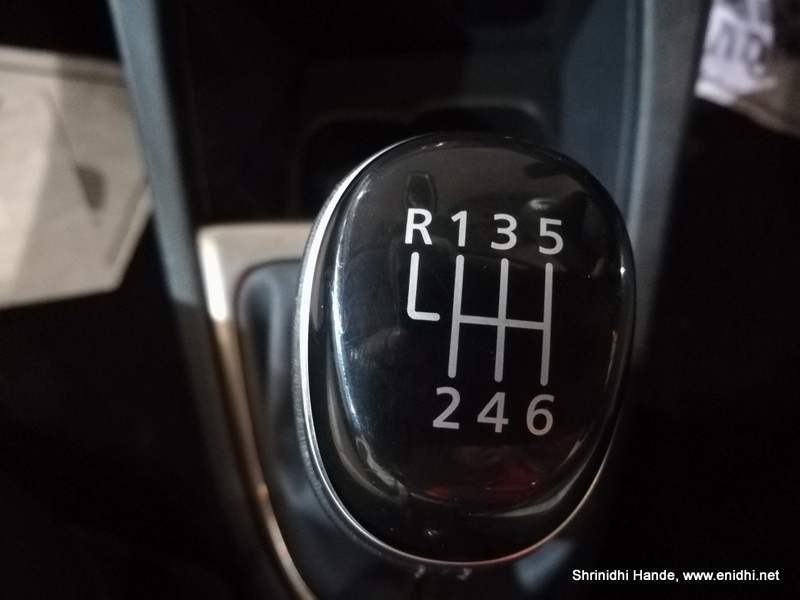 When Renault India introduced Duster in 2012, it proved to be an instant success. 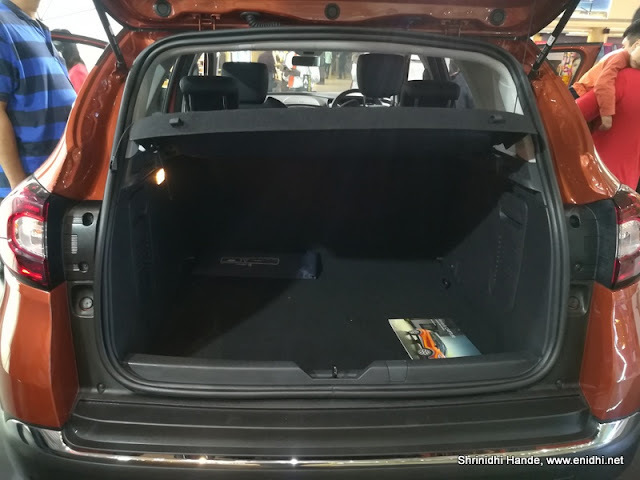 The concept of Compact SUVs were new back then and customers readily accepted Duster as it was rugged, powerful, offered much more than a sedan or premium hatch, while not costing too much as a full grown SUV. Duster success gave Renault the much needed boost, as no other model in their stable was doing any good. However this supremacy of Reno Duster that lasted for about an year was soon challenged by Ford Ecosport, a compact SUV which was sub 4 meters and was couple of lakhs cheaper compared to duster. 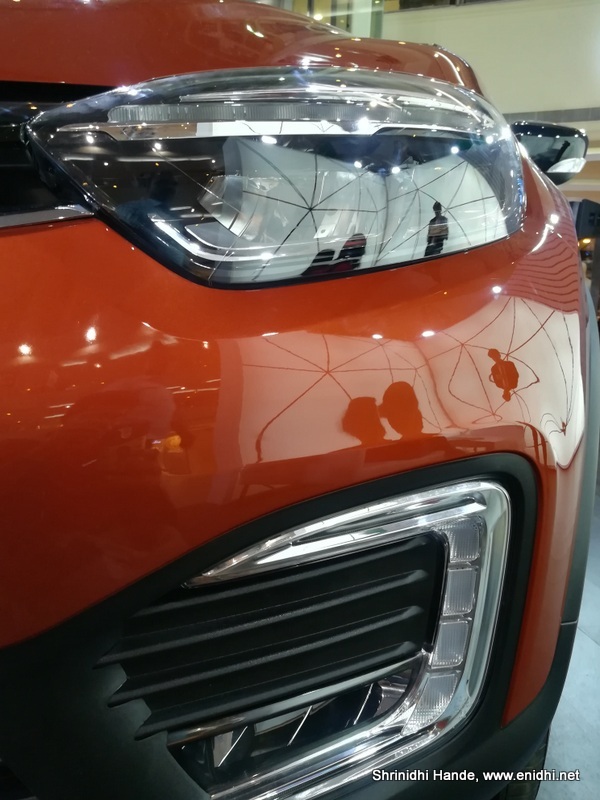 Soon the market is flooded with more n more models- Vitara Brezza, BR-V, Hyundai Creta, Tata Nexon and so on. 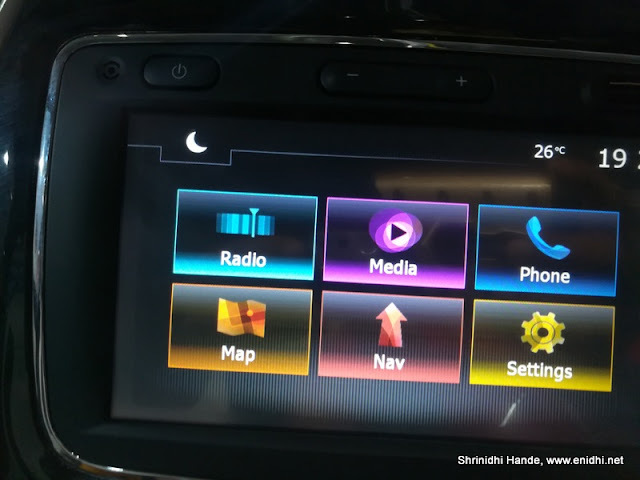 Duster got some upgrades over time- AWD, touch screen, couple of facelifts etc but couldn't fight the onslaught of feature rich, better looking and premium feeling competition models. 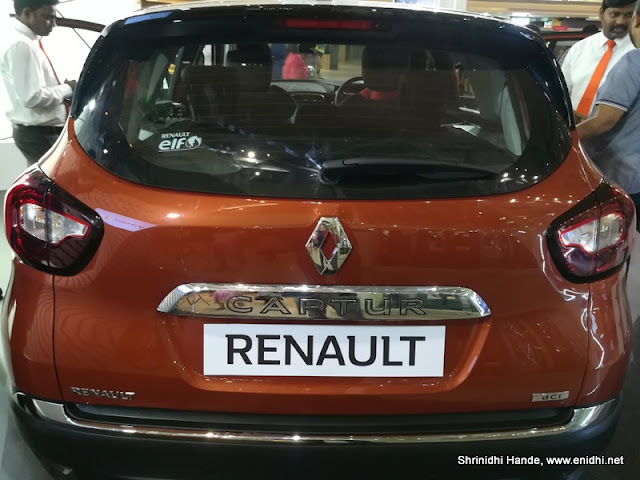 Renault is now gearing up for its next big launch, Captur. 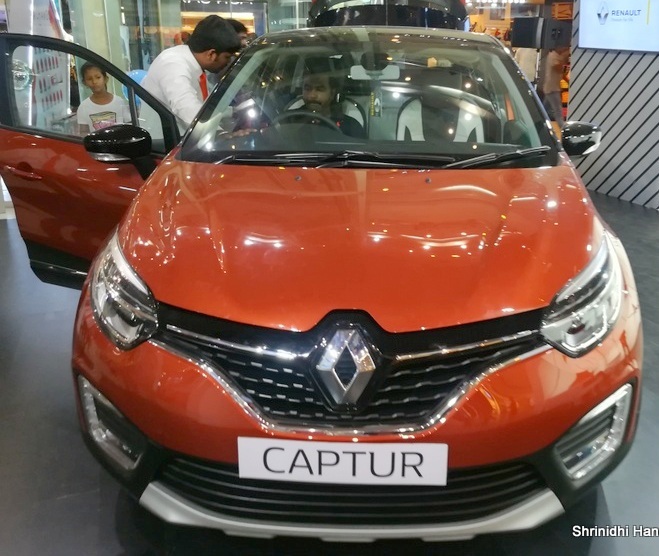 Captur is already a success in Europe and other parts of the world where it is being sold since 2013. 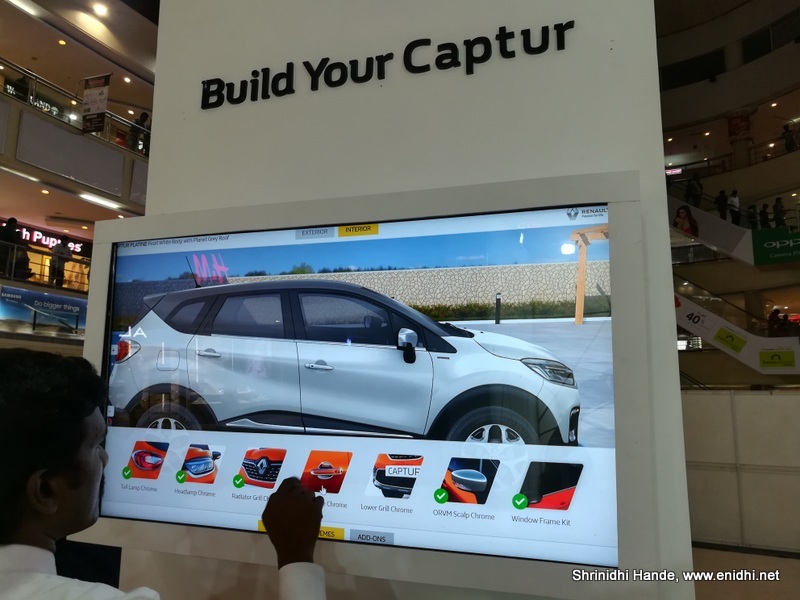 In this post, I am sharing photos and information known about Captur so far. I have not driven it, I am not part of the media drive, I am only sharing what I have seen in the car (which was on display at a mall) and information available about the car though official sources. 2. 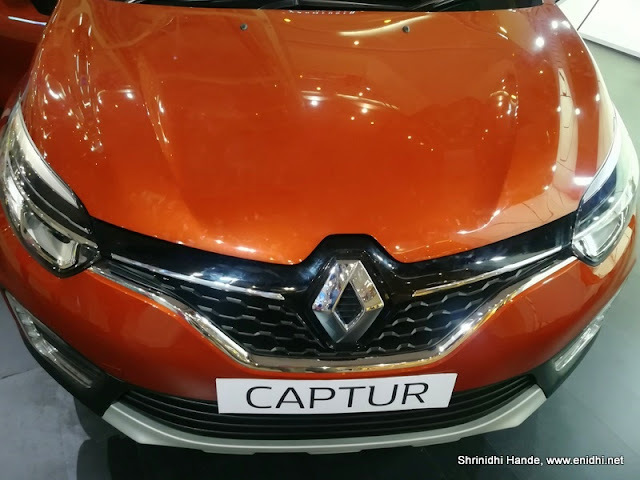 Captur uses same platform as Duster, has same Engine options (1.5 Litre petrol and diesel, petrol producing 106 PS, diesel 110). While Duster is more rugged, rough n tough, Captur will be put forward as a more premium, luxurious and stylish compact SUV/Crossover to own. 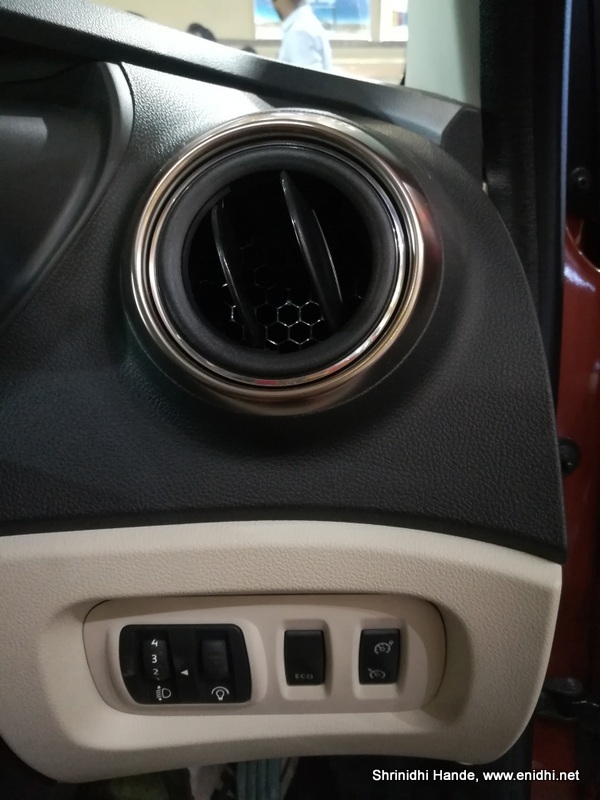 Ground clearance is also same, but Captur is few mm longer and full 70mm shorter than Duster in overall height. 3. 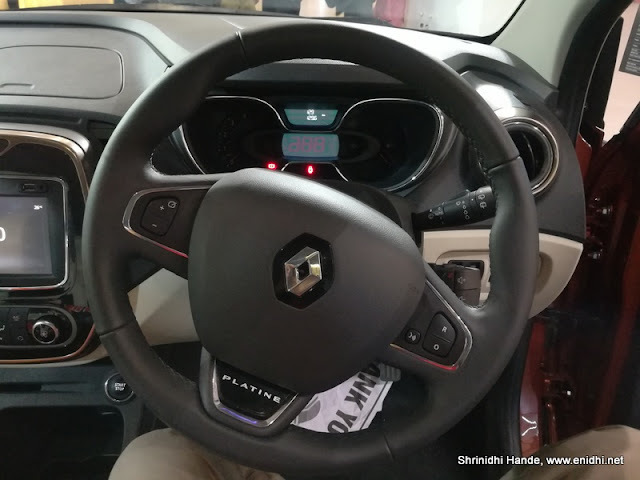 No AWD, No Automatic on offer in Captur (at least initially) while Duster gets these. 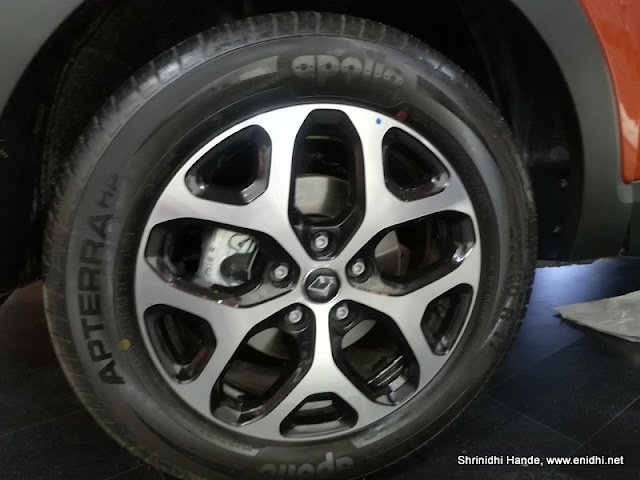 17 inch 215/60 tyres in the top most trim (Platine). This matches Creta. Need to see if cheaper variants get narrower tyres (lie 205 or 195/60) as it is most cases such as Brezza, Nexon etc. I missed to take some pictures from the side. 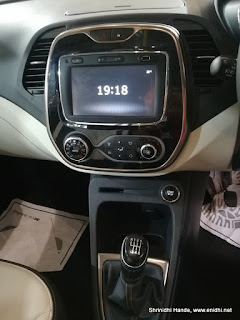 Second row window feels bit small but Captur is longer than Duster. 1. Second row seat feels limited. 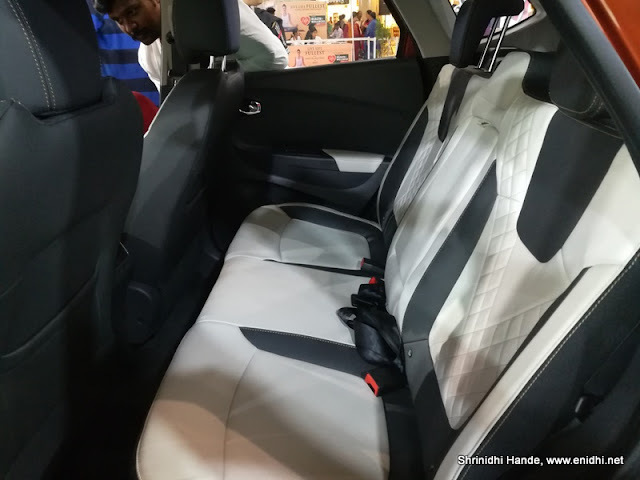 White colour is creating an airy feel but if first row seats are pushed back to the maximum, second row passengers will be cramped. Second row gets AC vent, two adjustable headrests, central arm rest. Renault claims Captur gets first in class Ergodesign leather seats. 2. 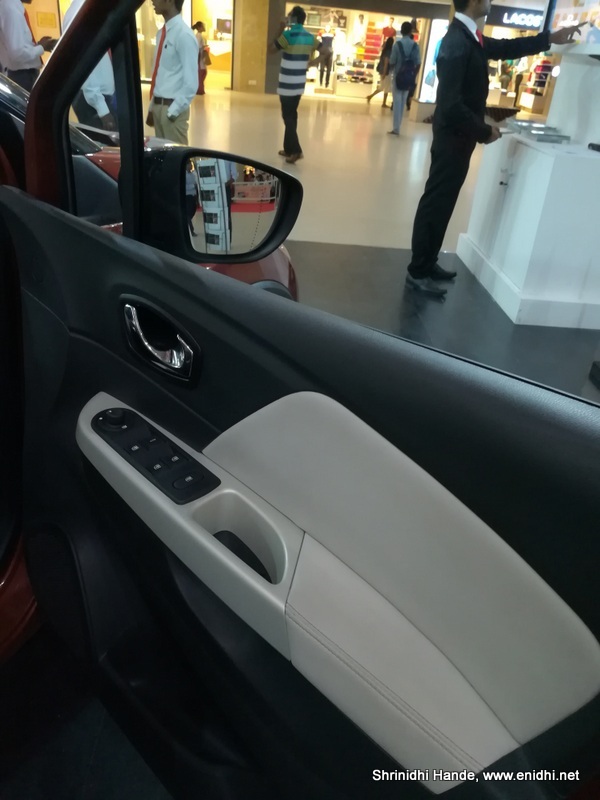 Multi purpose touch screen system. Auto AC, rear view camera, navigation support and other standard stuff. 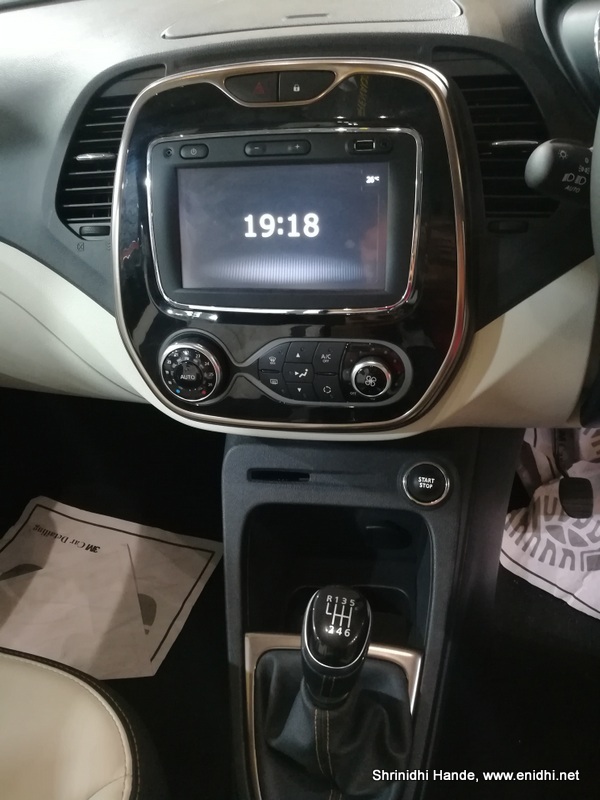 The central console feels very basic even in top most trim. In Nexon it feels lot more premium. Note the coloured outer ring for AC vents. In Tiago this colour is customizable.